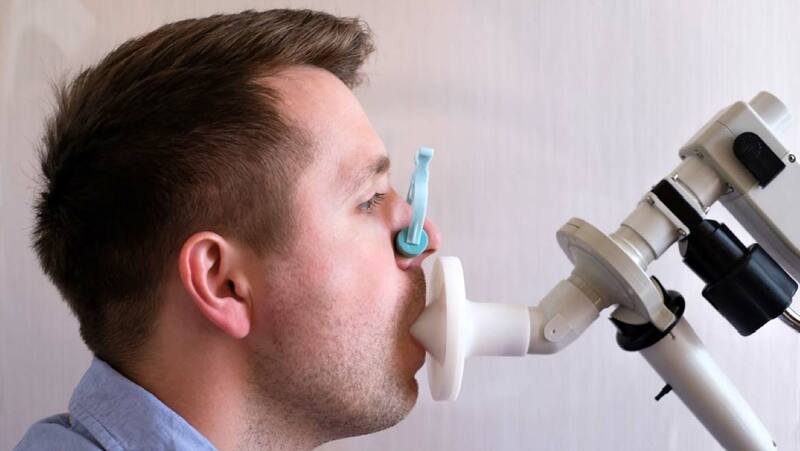 Artificial intelligence (AI) researchers, specifically, a data science team from the Loughborough University are developing a model that has the extraordinary ability to detect a variety of illnesses, just by smelling the human breath. We all know that the human breath can reveal many characteristics of our physical condition, but with this deep learning network, many new cognitive paths in the scientific fields of medicine and AI can be explored. It has been evident that artificial intelligence has made great progress in its abilities to see and listen. Now, even the sense of smell has been conquered! Many substances that we breathe in and out can reveal illnesses that were previously unidentifiable. But, how does our olfactory system work? The sense of smell is one of the five senses possessed by humans. Even animals and plants use this sense to identify a million substances floating around in the air. Of course, that of humans is less developed than the corresponding ability of most animals. The main reason for this hierarchy is that animals use their sense of smell to survive, look for food or partners. It is a critical function for such creatures; if we used this sense for survival, it could probably have been better developed. However, we are very sensitive to odors, thanks to the olfactory receptors present in the nostrils. The process of smell is too complex, but it is interesting to note that bad odor perception demands lower concentration than that of good odors. This can be explained simply by saying that bad smells are linked with two basic emotions that favor our survival: disgust and fear. Smells also have an emotional component and they are a direct link to our memories. The sense of smell enables us the ability to taste flavors, the reason why many people who lose their sense of smell also lose their sense of taste. This is indeed a remarkable trick by the internal structures of the human brain. At the beginning of this study, 22 teams of computer scientists developed a set of algorithms that were able to forecast the scent of different molecules, according to their chemical composition. Detection and identification of certain chemicals in the atmosphere was the first stage of this process. After that, the machines were developed to sense volatile molecules and recreate the perception of odor. The machines, called gas-chromatography mass-spectrometers or GC-MS, were able to analyze the air and discover thousands of different molecules known as volatile organic compounds. This can be considered a big breakthrough in AI as the science is not only about machines thinking like humans, but also about endowing machines with human capabilities. Every peak represents a fragment of a molecule, which creates patterns that show the presence of distinct substances. Even the smallest peak can be definite. Some of the mixtures in the human breath reveal the presence of various cancers, even at the early stages. Laboratories around the world are, therefore, experimenting with GC-MS as a non-invasive diagnostic tool to identify many illnesses, painlessly, and in a timely manner. However, large amounts of data need to be manually selected and analyzed by specialists. As people are prone to error, several times, this process can be very time-consuming due to the complexity of the data and the sheer number of compounds. Now, a highly sensitive, AI olfactory system can perceive the richness of information that is transmitted through the air. In the GC-MS machine, each compound in a sample of air is first separated and then smashed up into fragments, creating a distinctive fingerprint from which compounds can be recognized. The team adjusted the newest AI technology to perceive and learn the chemical compounds inside the breath samples. Deep learning networks, architectures that inspired by the human brain and its connections, were designed to analyze the traces left by odors. A team of doctors, nurses, radiographers and medical physicists at the Edinburgh Cancer Center collected breath samples from participants undergoing cancer treatment. The samples were then analyzed by two teams of chemists and computer scientists, and after this, the results were used to feed the deep neural networks. This procedure required the appropriate amount and quality of data in order to proceed in the right feature extraction. The feeding was stopped when the machine started to recognize specific patterns, that revealed specific compounds from the breath. The computation was further accelerated by special devices called GPUs, that can process multiple different pieces of information at the same time. One wondrous example was the recognition of a group of chemicals known as aldehydes. These are often associated with fragrances, but also, with human stress conditions and illnesses. This process can be continually improved as the system analyzes more samples. With this technique, we can train the system to detect small amounts of volatile compounds with potentially wide applications in medicine, forensics, environmental analysis, and many other scientific fields. The main aim of this AI was to diagnose whether a person could be ill or not. This fact has great potential as it also has the ability to detect and identify substances in the air. If machines such as these gain the capacity to identify an illness (and then go on to find a cure for the patient), how far can we really go with artificial intelligence? “Some people call this artificial intelligence, but the reality is this technology will enhance us. So instead of artificial intelligence, I think we'll augment our intelligence.” - G.R.